For years, there has been Doctor Who merchandise that the fans have been going crazy over. For some unknown reason there has never been any Doctor Who merchandise with LEGO. 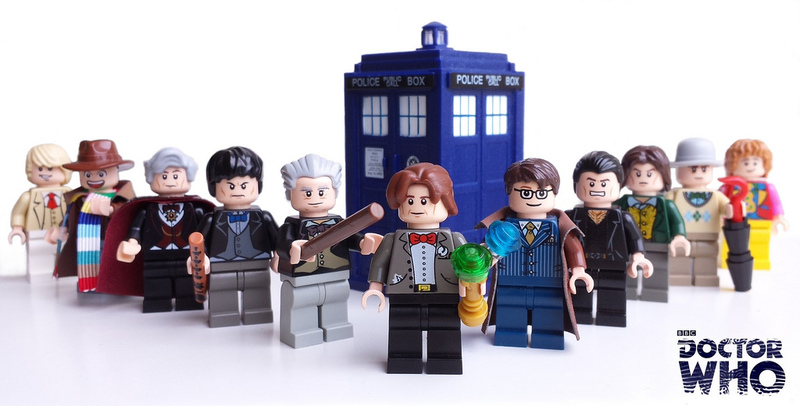 It seems like Doctor Who and LEGO would go together, who wouldn’t want to build a TARDIS out of LEGO’s. With site such as LEGO CUUSOO out there where fans can submit LEGO, ideas that can be voted on and possibly become a reality. I have voted for the LEGO X-Mansion and Wayne Manor in hopes that I will be able to buy those one-day. If this is the case then why no Doctor Who submissions? Well Doctor Who fans, I have great news for you on Febuary 25th LEGO CUUSOO announced that they will begin accepting submissions for Doctor Who sets. The licensing conflicts have been resolved. I hope this means some LEGO Doctor Who sets in the future, I know I would be happy to vote for some on LEGO CUUSOO.